There are any number of reasons why Instagram is the most popular online community for photographers. There’s the easy no-frills nature of uploading. There’s the never-ending potential for discovery. There’s the instant gratification. There are also a surprising number of shortcomings. For the longest time you couldn’t edit captions, but that was rectified in November of last year. The frustration of having to deal with errors or delete and re-upload the image entirely was common. There are other quirks in the app that could benefit from some quick fixes. Here’s what we’d like to see. You can either delete them all at once or one at a time. Various sites have come up with Rube Goldberg solutions for batch deletions, but none of them are intuitive. One such solution would have you find the images you want to delete on the web version of Instagram, save the individual URLs to a document, email that document to a friend, and have them like each photo. That way, the photos you want to delete are at the top of your notifications tab. That’s a stilted process that takes more time than it’s worth. A batch delete option would streamline the process, especially for those who want to do some spring cleaning on their streams. If you want to watermark an image, you’ll have to do it in Lightroom, Photoshop or any number of apps. Watermarking is increasingly becoming a necessity, and giving photographers the ability to do it in-app would be a welcome addition. This would make an already robust editing suite more robust. Say you’ve just photos published in a prestigious magazine, and you want to share the good news with your network on Instagram. Perhaps you tell them where they can go see it or you drop the link in knowing full well it’ll just be plain text. As it stands, the only place where links are clickable is in your bio, and that’s where you’d typically put a link to your portfolio site. You’ve also probably seen “link in bio” in a caption. I won’t speculate as to why links have yet to be clickable in captions, but it seems like an easy fix. Yes, Instagram has made the square format wildly popular, so much so that an iOS update a while back added square format to the iPhone’s camera. Yet, there are times when cropping to square cuts out important parts of the image, and if you want to keep the original aspect ratio, you have to rely on third party apps, which take up extra space. 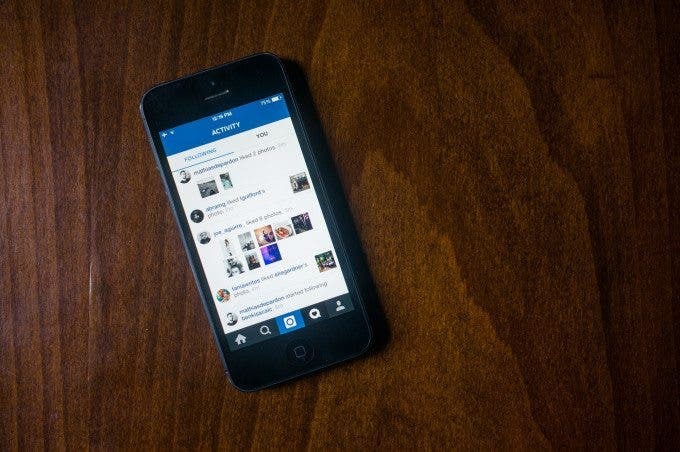 Yes, Instagram is for squares, but it can be for rectangles, too. If you ever travel back in time on your Instagram stream, you’ll see older photos with a number and either a “d” for day(s) or a “w” for week(s). There’s a vagueness there that can be frustrating if you’re trying to find exactly when you uploaded a photo, and for folks running contests with an upload time frame, it can be a hassle to figure out exactly which photographs make the cut. I’d also go so far as to say that the image capture date should be made available, too. Those three dots to the far right of the chat bubble could have a “more info” button that could provide extra information like, say, metadata. There’s something of a big unknown with putting an image on Instagram. You know it doesn’t reach nearly as many people as you have followers. Occasionally, a split-second after your image uploads, you have a like from someone you don’t know. How does it happen? Is it a bot? All the bots were annihilated in the purge! There are sites like Iconosquare that provide a trove of statistics, but it would be helpful to have some available in the app. Not everyone’s a power user, but some insight would be beneficial. Of course, Instagram is all about photographs, from uploading to messaging. For the latter, you need to append a photo to any message you want to send to another user. There may be instances, however, when you don’t have a photo to send, but you want to connect with someone. Making the photo an optional part of messaging rather than a mandatory one would be swell. On anyone’s Instagram feed, you have two main viewing modes: grid and list. Grid shows thumbnail-size versions of the feed that you can tap into and out of. List shows them full-size that you can vertically scroll through. While you’re in grid view, it would be easier and wholly welcome to be able to swipe to the left or right, rather than tap back out and into another photo. Some of us are tasked with handling the company Instagram account, which can be a hassle if you have a personal one. Currently, Instagram does not offer the ability to have multiple accounts in one app. You have to log out of one and log in to the other, and if you’re not good with passwords, it can be a hassle. It’s not just for folks who deal with personal and corporate accounts. Some have a professional Instagram and a personal one, and giving users the ability to switch between the two without having to log out would be a very welcome change.